LucasArts releases the companion video game in advance of the movie s opening on May 19th. 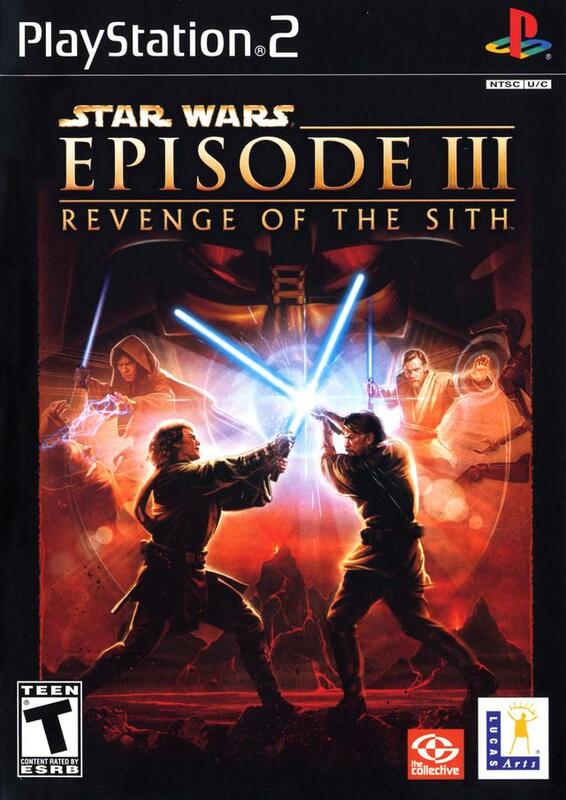 The Star Wars: Episode III video game features third-person character action gameplay built to deliver the ultimate Jedi action experience as Anakin Skywalker and Obi-Wan Kenobi join forces in fierce battles and heroic lightsaber duels until one's lust for power and the other's devotion to duty lead to a final confrontation between good and evil. Battle through 16 interactive levels including never-before-seen locations inspired by the film. Clash with Darth Vader and other enemies in multiplayer duels. Unlock other characters locations and bonuses. I wasn't expecting to play as the dark side but as long as I get to destroy stuff I'm ok.
great game! lots of lightsaber action for all the Jedi wannabes out there. you can also upgrade your skills as you progress allowing you to lay waste to everything in the room -- including other Jedis! So glad I found your site!! I was going crazy looking for this game for my son who is autistic and doesn't understand the word no. The game works great! Very fast shipping! Will definitely buy from this site again!! I recieved my copy of "Star Wars Revenge of the Sith" in PS2 platform and it is in excellant condition. I will definately continue my business with Lukie. Thank You very much! Thank you Lukie games! I just received my copy of revenge of the sith! and let me tell you, the game looks so clean without scratches and the shipment was fast! I am a first time buyer and I will definitely continue shopping here. I am still waiting for my ps2 in the mail so I cant wait to play this game again. what i don't like about this game; no 3d world ,it's a straight course game like earlier platforms. BUT that being said, this game is great graphically, the force powers, the story line, are all great. plus you go back and forth between being anniken and obi-wan ,following their individual stories/missions ,which give the game an unique twist. 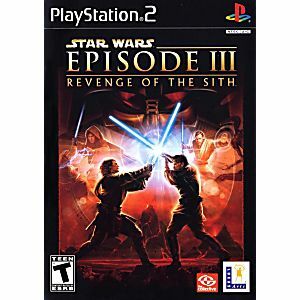 This game is the Top Pick for Jedi Dueling Games, Above Battlefront II, and others on the PS2. 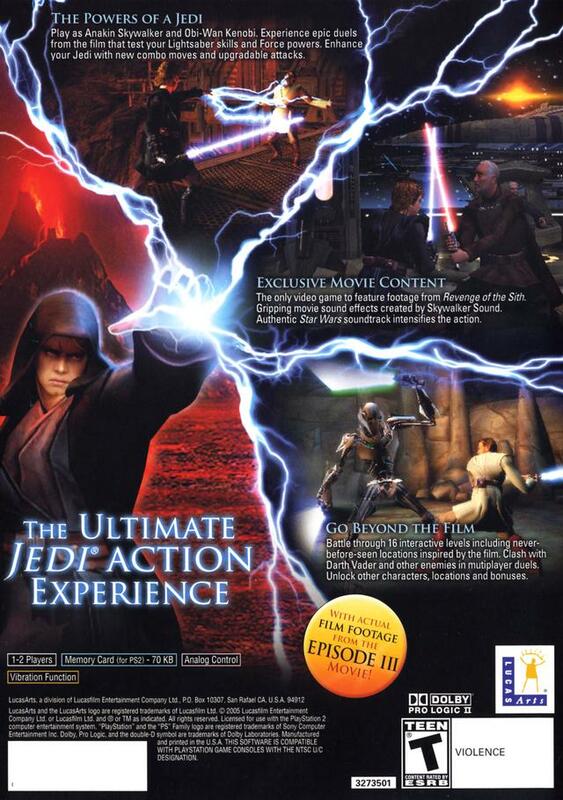 It is cleary stated in its reviews and on the box, that it is the Best Jedi-Fighting game there is on the ps2. I totally agree. But as stated Previously by another user, Once Beaten the Game doesn't have much replay value, (Of course unless you want to go back and play missions without reason), Has a Jedi Power-up Skill Experience System Like God of War and Lord of the Rings. Overall great Jedi fighting game, and for the price its excellent. This is a good game through the story of Episode 3. The multiplayer battles are pretty fun, but once you've gone through it and done some battles there isn't too much beyond it.